Later this month, myself and my director of financial planning, Kris Venne will be in Chicago for the week. Readers of our stuff who want to find out more about how you can become a wealth management client, this is your chance — we will be discussing financial planning, asset allocation, and investing during the… Read More The post RWM: We're Coming to Chicago appeared first on The Big Picture . 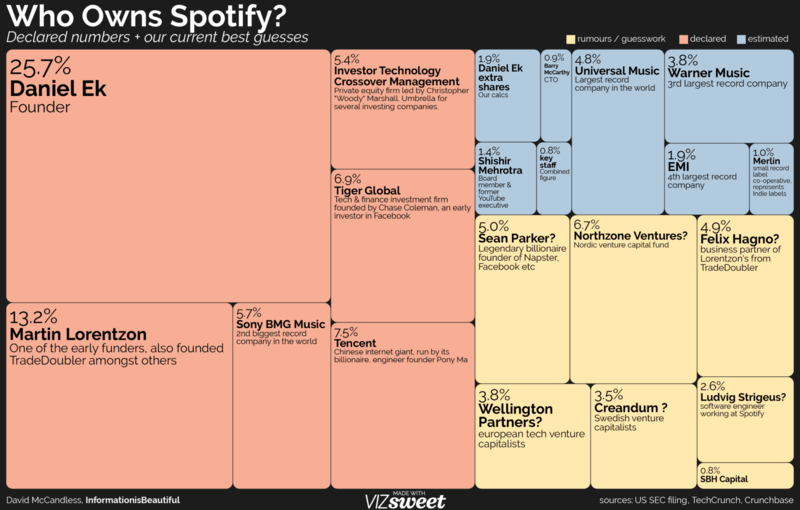 The post Who Owns Spotify? appeared first on The Big Picture.